Happy Thursday! Summer and warm weather is almost here and that means… ice-cream! Of course, ice-cream is not a health food, or is it? 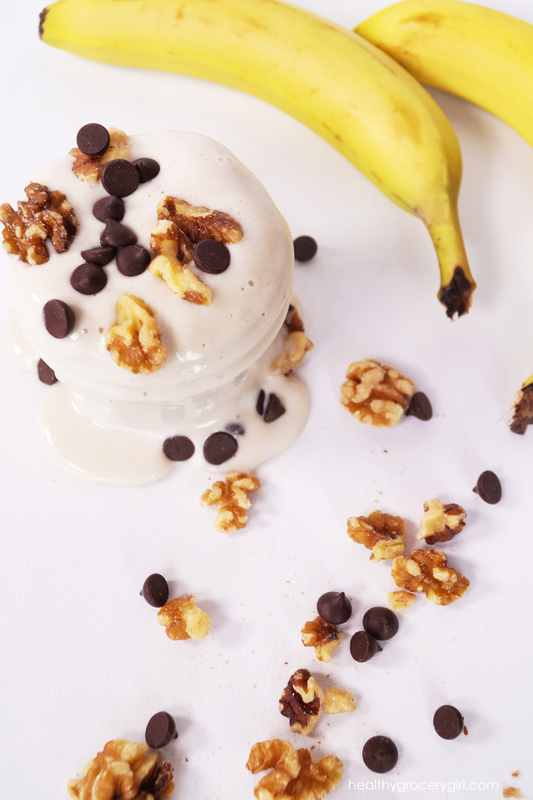 When you make banana ice-cream it certainly can be! I think you’re going to love today’s recipe. It’s easy to make and tastes great. This recipe is also from the Healthy Grocery Girl Member Site. If you love what Healthy Grocery Girl has to offer, you’re going to want to make it official and become a member! Learn the benefits of becoming an HGG Member Here. This recipe is so delicious! You're going to want to make it all the time. Peel and freeze two large bananas. Place bananas in plastic wrap or glass container with lid and let set in the freezer for a minimum of 6 hours. Then place bananas in a high-speed blender, add almond milk and blend together on low speed for 1-2 minutes until a thick creamy consistency develops. 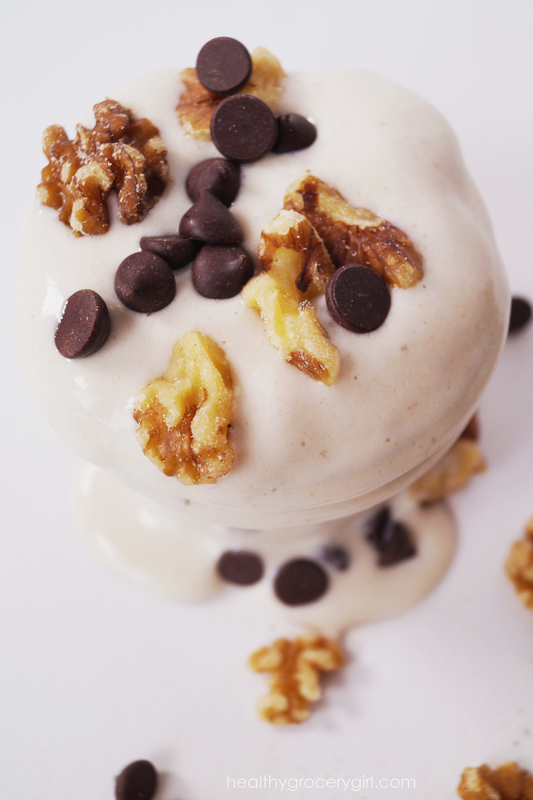 Spoon banana ice-cream into bowls and sprinkle with walnuts and chocolate chips.